ladykayy: Guess what? Time for new mail! I haven't gotten much mail lately and of course, I managed to forget what I was sending out, BUT I have photo's nonetheless! How have you all been? Is Fall starting to rear it's head where you are? It certainly isn't over here! It's supposed to be in the 90's for the next week! BOO! I want rain so bad! It hasn't rained since June for the most part. It's killing me! :( Anywho, let's get these photos out so ya'll (when did I go Southern?) don't have to look at snakes! Haha. Here we go! Outgoing to Vi! Getting a bit more into some simply mail art! My last outgoing that I managed to photograph...a handmade postcard to Hannah in England, who I haven't heard from after my reply to her letter...I'm hoping I have her address correct! I used my Hermes for the label! :D I took this photo before it was completely finished, though. 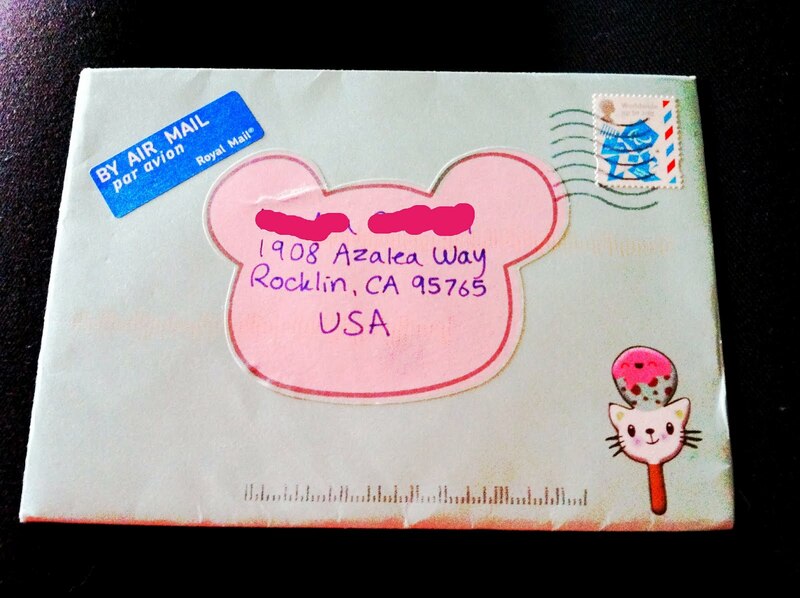 I stuck a few foreign cancelled stamps onto it afterwards! How cute is this stationary?! 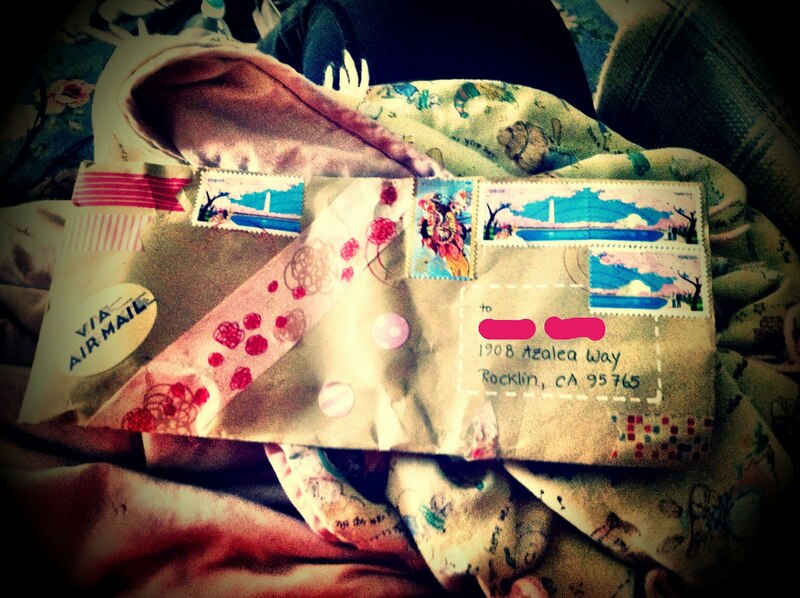 And she sent me an air mail envie! 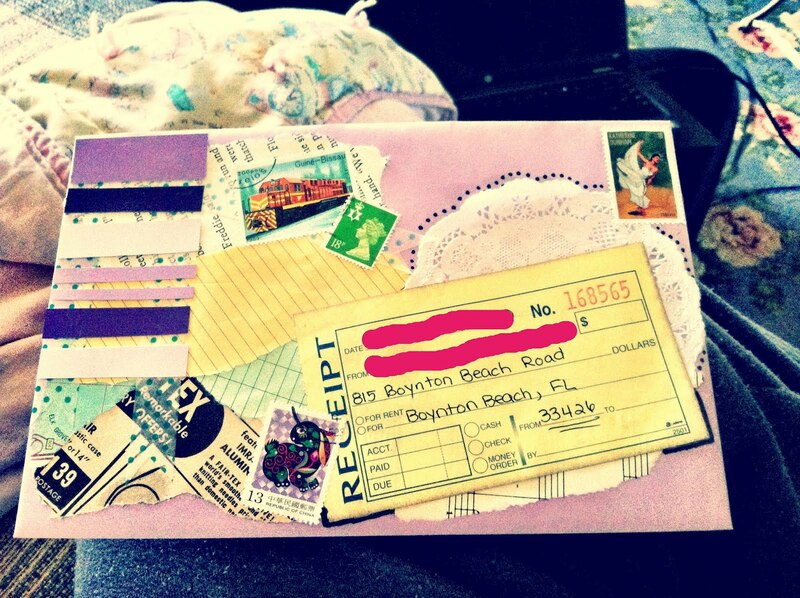 For all of you who don't know, I LOVE AIR MAIL ENVELOPES! I'm always so stoked to find one in a letter that I can use for my letter-writing! 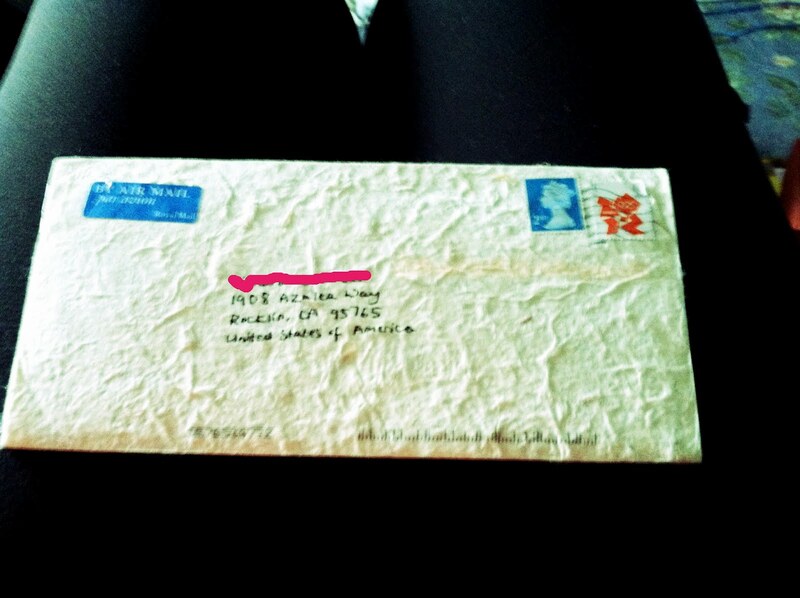 :D And the sweetheart used her best stationary for my letter! I adore her! Her packaging is absolutely GORGEOUS and it always is! She always amazes me! Her items are always so carefully packages! PINK BUBBLE WRAP!!! I managed to not take a photo of the cute little circular acrylic box she sent the ring in (ugh!) but here is what she sent! And then macaroon earrings! All in blue! She sent me quite a few pairs and basicvally...I freaked out over them, haha. But my iPhone wouldn't focus on them for some reason, so I'm going to have to take her photos from her store! (Credit to Karola!). 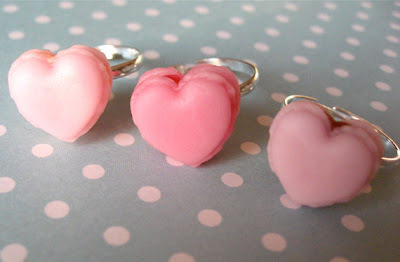 My favorite were a pair of heart shaped macaroons, but I couldn't find a photo of them in earring-form, so you'll have to sort of imagine it from a photo of a heart macaroon in ring form! 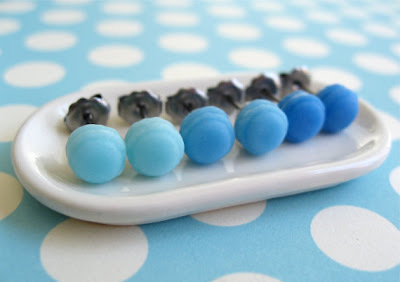 And thennnnn.......she sent me matching blue round macaroon earrings! AMAZING, right?! Today is my day off, so I think I might spend it replying to a few letters and then perhaps crafting a few collage postcards and folding some new envelopes! I discovered one of my hidden vintage music books, so I guess it's time to get folding! Oh, and lastly, I am official! Officially a supervisor! Here's my shiny new store key! YAY! Congrats on becoming a supervisor!! 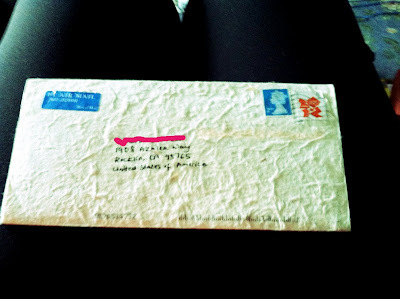 I got your letter, thanks! I'll be writing back soon. I love this post! :) Awesome! I can email you my address if you like just to check its right? Hello girl. How are you? This post looks very cute. Im gonna read it later when Im done with work. I just wanted to let you know that I gave you an award in my blog since I consider your blog being so cute. Enjoy!